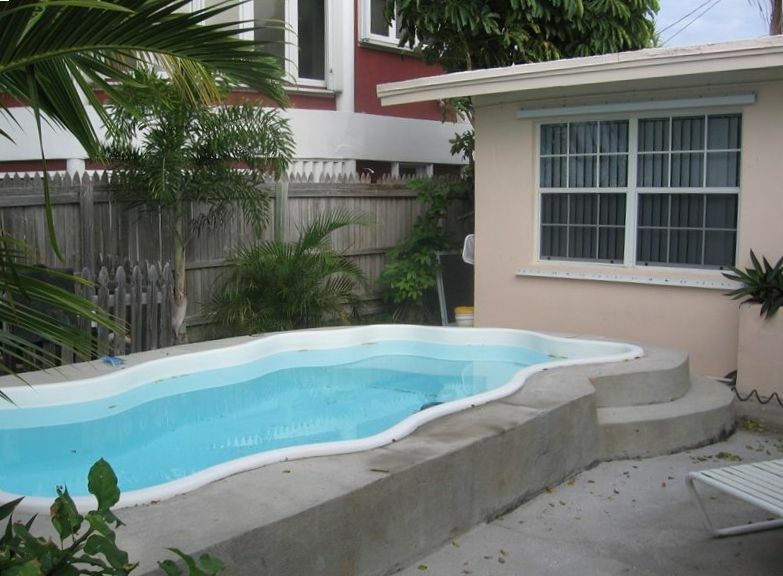 4 bedroom, 2 bath pool home off the open waters of the Gulf. 110' dock with 6' draft. Great fishing and lobstering due to open, free flowing water. Screened porch with 2 tables, fan and light. Florida room with second dining room table and pull out couch. Remodeled kitchen with granite countertops and stainless steel appliances. Second refrigerator in laundry room for bait and fresh catch. One queen bed in 2 bedrooms, one full bed in a bedroom and 2 twins in the fourth bedroom. House is one story and has a carport. Parking for 3 cars and one trailer. Rates quoted are for a maximum 8 guests/occupants. Any additional guests/visitors must be disclosed and will be considered. Lessee must be 25 years old. I am a native Floridian and have come to Marathon for 20 years to dive. I have owned vacation rentals since 2001 to have a place to boat and dive. I have vacationed in Marathon for 30 years staying in hotels. I decided to buy my first vacation home in 2001. Having a kitchen and barbeque grill to prepare fresh catch is so valuable. Also, having private dockage is a must. The ability to leave gear on the boat is such a plus and so nice not paying a daily dockage fee at a hotel. The home is on open water, so fishing is good. Snapper are plentiful and a grouper head on the line at dusk can catch a shark. Snorkeling for lobster at slack tide in the nearby seawalls can produce dinner. Boats available for rent. Inquire with owner. The property was clean and mostly as shown on Vrbo. Work was being done on the property (not during our stay) which is understandable but is in need of further cleanup and maintenance on the outside of the home. Our overall experience was fair and would return if improvements were made. The highlight of the stay was the manatees that visited at the dock was awesome. The roof was supposed to be replaced in November. Unfortunately the roof is still not finished. The house is water proof but the soffit and a little more work needs to be finished. I make sure they have my schedule so no work is performed while renters are there. Marathon buildings suffered a lot of roof damage after the last hurricane and the companies work schedules are still backed up. Great place to stay in Marathon! We first dropped our boat off at the public ramp about 1/2 mile away. We have a 31' boat and the ramp was fine to launch it. We motored to the home in Vaca Cut. Amazing location! The tarpon were rolling at about 5pm when we arrived. We found everything to be in perfect working order and ready to go. Plenty of linens and towels. We liked the split floor plan. We put the little ones in the back bedroom and they loved it. Extra fridge/freezer for bait. Plenty of seating at multiple dining room tables. We were able to walk to captain hooks for live bait. That walk across Vaca Cut when the water is running is so cool. We will definitely return next year. We are happy you enjoyed your stay and look forward to you vacationing again with us next year. Very Unsanitary Conditions, owner only makes excuses. Our money was thrown away. UNPLEASANT!!! This place was so disgusting and filthy the moment we grabbed the door knob to go inside when we arrived. Floors, appliances in kitchen, bathrooms, light switches, fixtures, cabinets, everything inside and out. This place has obviously not been cleaned in a long long time. It’s pointless to describe because EVERYTHING was so very nasty. Heed the reviews! Not to mention her business license had expired. The owner only makes excuses when she returns the call. She does not care! It was so bad that this needs to be reported to the Health Department and shut down. We totally waisted our money on this vacation with our kids and grandmother. Huge inconvenience and Very Unpleasant! We all were afraid to touch anything or set our belongings down or just sit in a chair or our beds because everything was covered in a stickiness and grime. Old food in the already nasty refrigerator, dried up sausage patty in the toaster oven filled with crumbs, drawers and cabinets full of crumbs, not to mention the untidyness of the untensils. Things were just randomly thrown in the closets, any corners, and the sides of the house. We’ve only seen college dorms this bad. We were scared to use anything unless we washed it first. It was disgusting! The amount of cleaning that needed to be done would take many hours for 2 or 3 able bodied people. She only called back because we had to constantly call her phone, which ended up her only giving excuses and trying not to do anything at all. Finally she sent a neighbor, an almost elderly gentleman, that wanted to try and help. Very nice fellow. He clearly said he is not a handyman by any means and did not have many tools. He said, “I don’t know what she expects me to do, I basically don’t know a screwdriver from a wrench”. It was far too much work and he was clearly not able enough to do this extent of work and we felt bad for him to even try. He was kind enough to loan us a mop because we could not stand sticking to the floor anymore. We would have clearly went to another place but that time of year everything is booked months in advance. We were stuck and had no more money to afford other accommodations at the rate of the cost that we paid for this house for the week. We just made the best of it because it was ruining our vacation. Even at the end the owner complained to us that she couldn’t find a remote. None of the remotes worked, they either had no batteries at all in them or they were dead. Before their arrival I checked the TVs to make sure they were working because the ATT remotes can be sensitive. The floors were clean as well as the kitchen and dining room table/chairs. All had been wiped down. The house was dusted, bathrooms were clean. All linens clean. Within 20 minutes I responded to this renter’s text stating he was unhappy and said I would send my helper over with mop, bucket and cleaning supplies and he would take care of any concerns. He arrived and they did not allow him to mop the floors or clean anything on their list of issues. They said they would do it themselves and asked to keep the mop and bucket. They continued to complain, as evidenced in both texts and voicemails and they show my timely response. I sent my helper back to the house with the list of items to be wiped down. Again, he was not permitted to do any cleaning. They said it was ok, they would take care of it themselves. I removed the cleaning fee since they were unhappy. The renter stated on two occasions l needed to make this right. After an entire day of trying to get the requested items wiped down, I realized they were not going to permit anything to be corrected to “make it right.” They were looking for a free vacation. We rent a different place in the keys every year to try new places . This was by far the worst yet. Day 1 and each day after we saw little cockroaches in the kitchen so we washed each dish before use . If you look at the photos closely you will see rubble right outside the back deck ( no safety rail) which is very unsafe. The dock is quite long and is great other than the vacca cut is right there and the no wake zone does not start until after the dock so YOUR BOAT WILL GET BEAT UP during the busy times of the day , also there were nails sticking up and 1 of our guests cut her foot . The inside of the home was ok other than the roaches, the outside had construction debris and the landscape was unacceptable. The owner took $75 off the deposit because we left a few dishes in the sink even after she was informed of all the issues we had. We will not be staying here again, there are MUCH better places to choose from . This renter did not notify me of any problems until I charged an extra fee for the unacceptable mess left in the kitchen. My lease is very clear that the kitchen must be left clean. The sink was full of dirty dishes, frozen drinks were left in the blenders and the lower cabinets were in disarray. My cleaning girl brought in a second girl to clean the kitchen. She has limited time between departures and arrivals so a clean kitchen is required on check out. It is possible for Guests to bring in bugs in their fishing tackle and dive gear. If this renter had notified me there was a bug issue during his stay, I would have addressed it that day. Two palm trees in the back yard were hit by lightning 3 weeks prior to the renter's arrival. The trees died in 2 weeks. As soon as the house was vacant I had them cut down. I informed this renter that I cannot control Mother Nature! The renter sent me a picture of the construction debris. It was 3 concrete blocks left on the side of the house by the pool repairman after the lightning strike. They were left in an area that is not a pass through. No one would have to walk around them. I told him I was not aware the blocks were left there and had them removed. The dock was completely inspected and any work needed was completed the month prior to this renter's arrival. He would not tell me where on the dock the guest cut her toe. I had the dock reinspected and there are no issues with any nails or boards. The property description states the home is on Vaca Cut. The online pictures of the home shows open water. This is the first complaint I have ever received concerning problems with boats at the dock. Guests should always use fenders at any dock and properly tie up their boats. Cleats are provided on each side of the dock. I did not receive any complaints from this renter until I charged the extra cleaning fee. I am sorry he did not refer to his lease prior to check out. I have many happy, returning guests every year. Awesome stay in the Keys! My family and I stayed here for 5 nights and absolutely loved it! It's centrally located and the view on the water is beautiful! There was plenty of room for everyone, and it's pretty rare to find a 4 bedroom house in the keys. The kitchen, although somewhat small, was well equipped, and it was awesome having the second refrigerator in the laundry room to store extra food and tons of fresh fish! After a long day of fishing, it was so nice to have the pool to relax in and grill some fish on the back deck. I would definitely stay here again. Thank you Cynthia! We stayed at this property in December to get out of the Tennessee cold. The weather was above 80 degrees every day of our stay. Absolutely crazy! Loved that we were able to walk to Captain Hooks to rent a boat and buy bait. We spent every night fishing off of the dock. The dock lights are great. Owner provided us with restaurant recommendations that came in handy. Made us feel like locals! Swim with the Dolphins at the Dolphin Research Center in Grassy Key or Theater of the Sea in Islamorada. Visit the Turtle Hospital that cares for injured sea turtles in Marathon. Take the trolly to Pigeon Key off the 7 Mile Bridge. Stroll through Crane Point Hammock. Rate is based on 8 occupants/guests. If additional guests are requested, please discuss number of people and rate with owner. Leasee must be 25 years old.